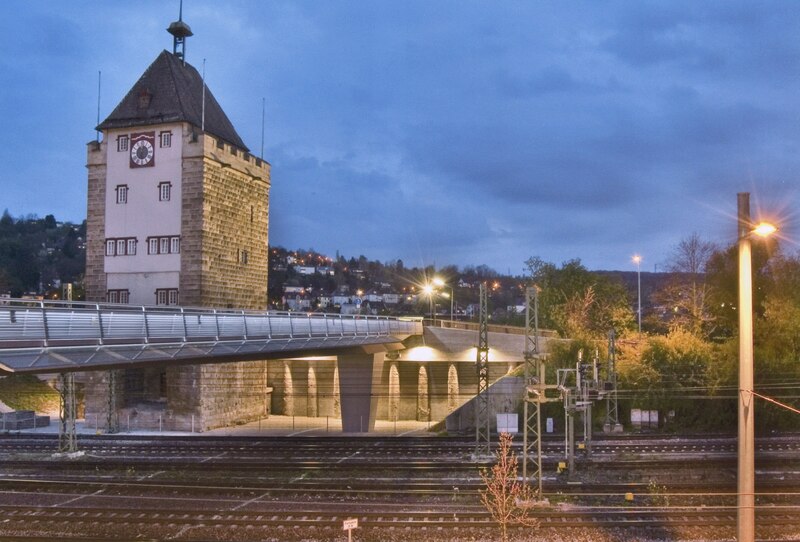 The Pliensau Gate Tower forms the outer part of the two bridges which people have used to cross the River Neckar in Esslingen since the 13th century. The constant conflicts with the aggressive Württemberg neighbours made it necessary to fortify the bridge. Only the Pliensau Gate Tower remains of the many gate towers. The shape of the embossed ashlars as well as the arrow slits for bows and crossbows point to its proud age of over 700 years. The citizens welcomed newcomers to the town with the large coat of arms of the town on the outside of the gate tower. The new ramp which was built only a few years ago now makes it possible for pedestrians to retrace the old course of the road.